A stunning new summer collection by designer BlackBird. 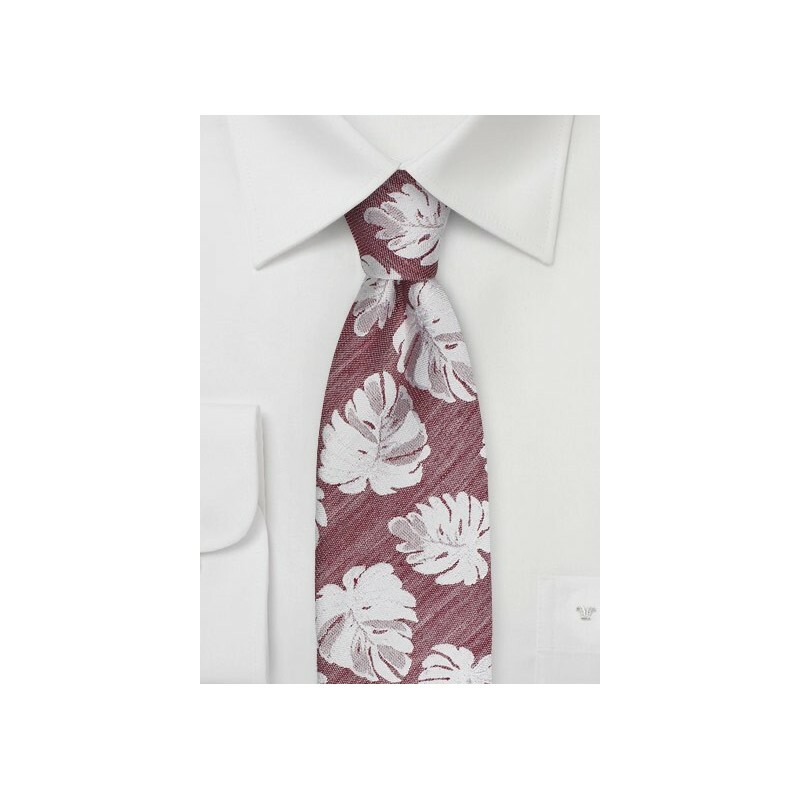 This tropical leaf patter of the Monstera leaf, is a design that reminds us of something you would find on a Tommy Bahama shirt. 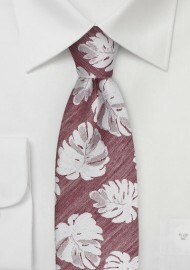 A fantastic summer tie that looks excellent when added to a a cream or beige linen suit or seersucker sports coat. Also available in ice blue and gray.